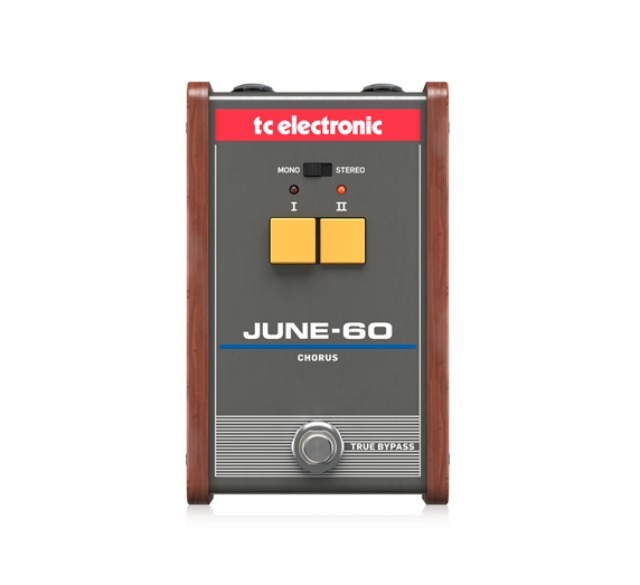 TC Electronic describes JUNE-60 as a faithful recreation of the lush chorus circuit found in the legendary Juno-60 synthesizer – the iconic synth sound that fueled countless ‘80s hits and defined the cult movie themes of an entire era. A spokesperson said, "With a mono/stereo switch and a warm-sounding all-analog bucket brigade delay circuit, JUNE-60 is the ultimate vintage chorus tone machine!" JUNE-60 CHORUS is a faithful recreation of the lush chorus circuit found in the legendary Juno-60 synthesizer – the iconic synth sound that fueled countless ‘80s hits and defined the cult movie themes of an entire era. Now you can bring the adored chorus sound from one of the most revered, classic synthesizers back to the future. But don’t worry – we’re keeping it old school.